This is going to be a small topic since is very simple and there is not much to explain. Some people like to have the Dock of their MAC with certain icons in there (Office, CS6, etc) as well as to have it for every user that uses the computer (Useful for Small/Large Businesses or Schools). 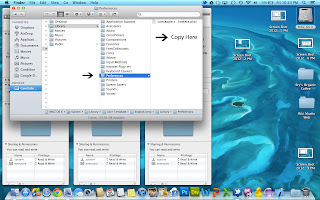 This use to be done by copying the profile from the Administrator account to all other account (for information on how to do a profile in a MAC please click here.) but since the released of Mountain Lion things has changed. Some steps are more complicated and some like this one are much more easier. First we have to start by putting all the icons you really want in the DOCK on the Administrator account. After that is done then we are going to start doing the good part, moving the dock plist into the all user folder. In order to get the dock plist, we have to click on Go on the Finder menu. 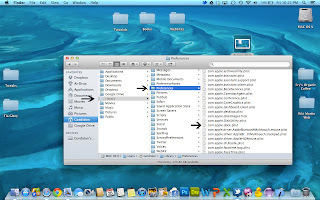 Then hold down Option key and you will notice that the Library folder shows up, click on it and then look for the folder with the name Preferences and in that folder you need to find the file: com.apple.dock.plist. When you find that particular file, you need to copy it and then go paste it on All Users. In order to get to the All User folder, you need to click on your HDD, then click on System folder, Library and User Template. If by any chance the folder is locked, you have to unlock it. Unlocking a folder is as simple as clicking once in the particular folder and then pressing Command + I so it would give you a pop up window. In that windows you need to open the little lock on the lower left corner and change the setting of Everyone to Read & Write. 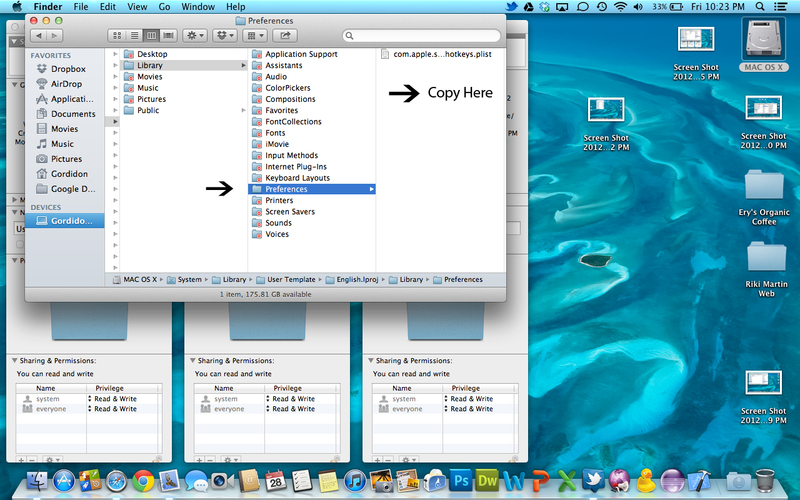 Now you would be able to access the folder User Template. In User Template you will need to access Library and then Preferences. You must paste the com.apple.dock.plist in this Preferences folder and you are all set. Remember to give no access to Everyone once again and lock the folders after you have finished. Now enjoy your new dock setting :p.
on a number of online marketing website and today I maintain having lots of e-mail inside my mailbox that it practically wrecked this particular email address. As well as the unsubscbribe website link does not work frequently. direction to go, because I might enjoy to keep the following current email address.